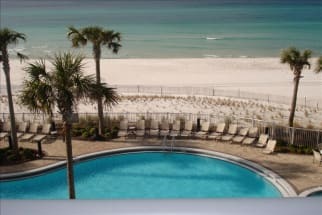 Welcome to Grand Panama Beach Resort! This beautiful resort offers you so much for your vacation, you'll never want to leave! 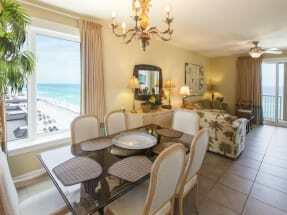 Emerald Coast by Owner offers you numerous vacation rental properties here, all equipped with our usual elegance! When you stay here, the condos will consist of massive living space, fully equipped kitchens, a variety of bedrooms, large balconies overlooking the coast, access to a luxurious beachfront pool and hot tub, 22 floors of excellence and so much more! While this extremely large complex offers you so much, the area offers a lot also! There's so much to do down here, a week might not be long enough for you to try it all! Some popular things to do down here are race go karts, go to Ripley's Believe It or Not! Museum, putt putt, rent jet skis, parasailing, deep sea fish, go on a boat tour, swim with dolphins, rent a golf cart or moped and so much more! When it comes to shopping, you've got to try stopping by Pier Park! There is a wide variety of shops and restaurants to eat at! 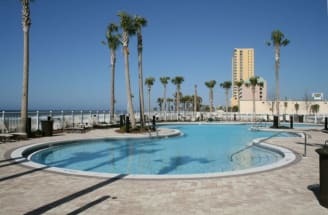 Browse our selection of listings at Grand Panama Beach Resort below! Emerald Coast by Owner is proud to put you in direct contact with the property owners or managers. Booking direct with the owner cuts out the middle man and assures you are getting the best price for your rentals. ECBYO does not have any booking fees that other large listing sites have. Book your dream vacation today with ECBYO!